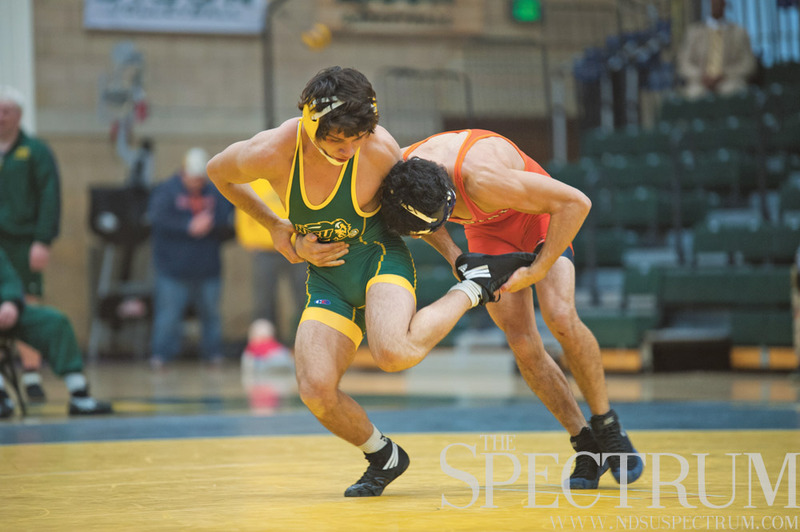 The North Dakota State wrestling team participated in its first Big 12 Tournament last week in Kansas City, Missouri. Five Bison wrestlers placed sixth or better, with Hayden Zillmer as the team’s top finisher as a runner-up in the 184-pound weight class. Both Josh Rodriguez, 125 pound, and Clay Ream, 149 pounds, placed third on Sunday afternoon, at the Sprint Center. Rounding out the five place winners was Ben Tynan, the 285 pounder in fifth place, and Mitch Bengtson, the 141 pound, sixth place finisher. Zillmer, Rodriguez and Ream’s finishes all earned automatic bids into the NCAA Wrestling Championships on March 17-19, in New York City inside the Madison Square Garden. This nod should be more of a standing ovation. Earning three automatic bids to the NCAA’s is not an easy feat, especially in such a physical sport such as wrestling. The Bison have flirted with a Top 25 ranking all year, and on Feb. 23 were ranked No. 24 by InterMat.com, a wrestling tournament ranking website. The team finished seventh place in the Big 12, as Oklahoma State University was victorious by a large margin. Entering the tournament, the latest rankings have Zillmer at No. 10, and Rodriguez at No. 15, while Ream, Tynan, and Bengtson were not listed in the Top 20.